If you are tired of visiting the most expensive and luxury hotels and really want something different then a visit to the hotels listed in this post is worth. These are the weirdest hotels in the world on account of some unusual factors with which they are made. Located in Lapland, Sweden, Icehotel is a place that is must visit by all those who are looking to have a unique experience. 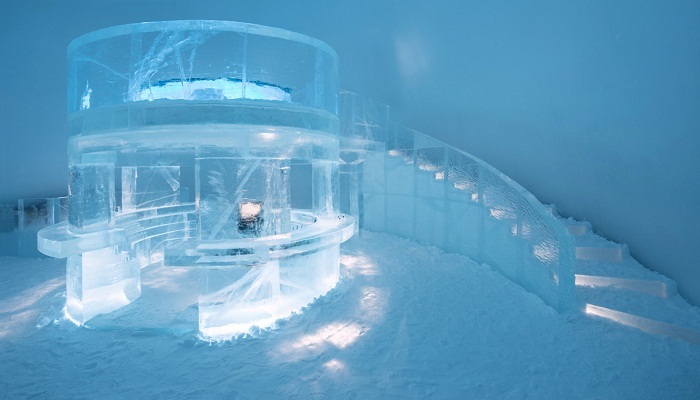 This hotel is rebuilt every winter and challenge the imagination of the architects and designers as it is an art project that is made of ice and snow and is more than just rooms and beds. There are beds that are made up of ice in roms in the hotel that are 65 in number. There are number of options available like snow rooms, ice rooms, northern light rooms, art suits, deluxe suits from which you can choose to stay in. ← Video of a dog playing with a marble ball goes viral. Hilarious!